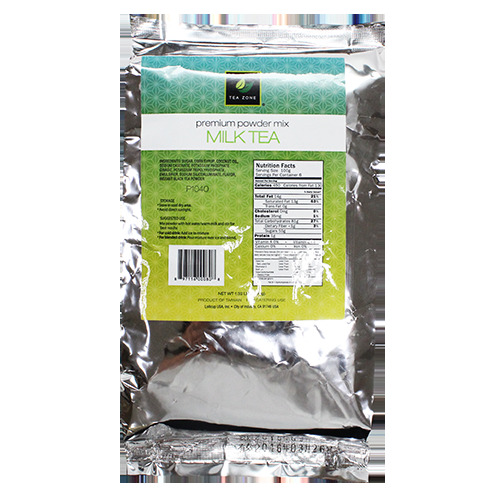 Milk Tea Boba Tea Powder used to make Milk Tea Boba Tea Smoothies and Bubble tea Milk teas. Here's a fun fact: Did you know that the practice of putting in milk first before tea started to prevent fine bone china cups from breaking if hot tea is poured in first? Well, times have changed. We've now embraced drinking iced cold milk tea. Try ours and you'll fall in love with it! 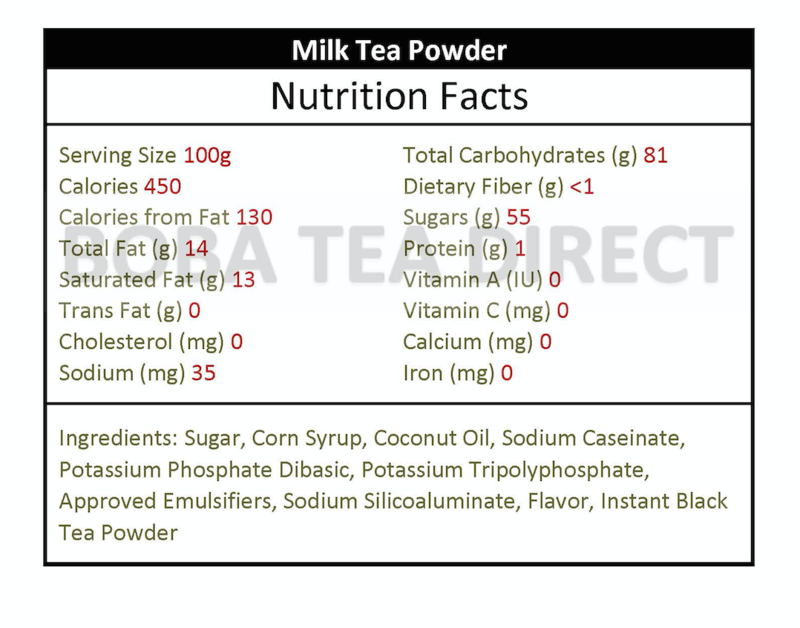 The taste of our milk tea powder is just right - not too strong, not too bland. The creamy goodness of milk and distinct taste of brewed tea leaves are perfectly blended in every sip. Why brave the traffic and horribly long lines when you can enjoy a cup of milk tea in your home? Serve it your way! If you've never tried the traditional flavor of bubble milk tea, you'll have to give this a try. Like this item? Try our Papaya Bubble Tea Powder! Love it! We ended up making it with just water. It was too thick and creamy with milk. Very addictive! We ended up using 3 parts water to 1 part powder. Delicious! I got addicted to bubble tea in Hawaii six years ago and had to start making it at home. I have tried many different milk tea powders, this one is my favorite. It has a nice sweetness. This site has the best price I have found for it. They taste amazing and are great hot or cold.